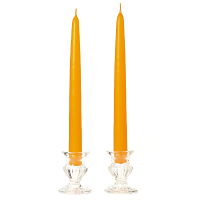 Our 12 inch tall taper candles create a comforting soft light where ever you need it. 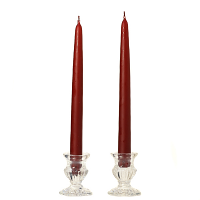 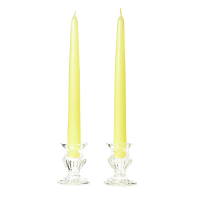 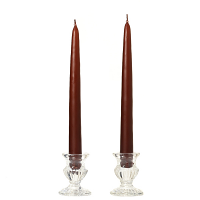 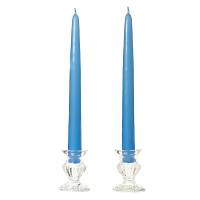 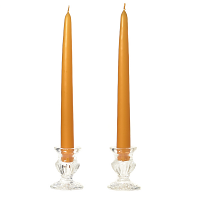 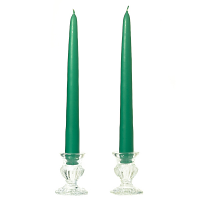 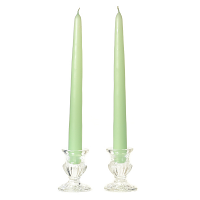 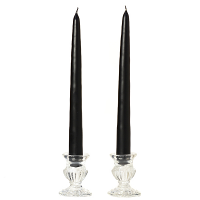 These dripless taper candles are unscented and perfect for any occasion. 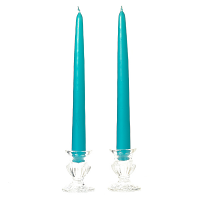 We dip our white taper candles into brightly colored wax creating candles that will work for any home decorating theme. 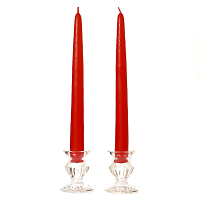 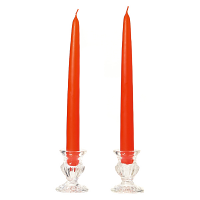 The tapers will fit into standard size candlesticks and are sold by the pair. 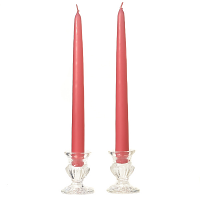 Two candles are joined together by a cotton wick. 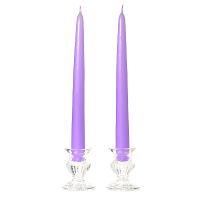 They will burn at about 1 to 1.5 inches per hour. 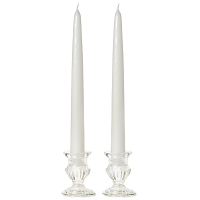 Absolutely love the smell of this candle. 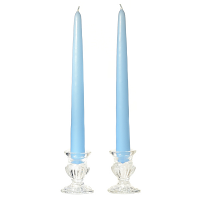 Will become a favorite of mine. 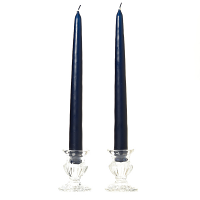 Excellent throw, scents my whole house.